Every mobile phone comes with a set of built-in security features that protect its contents in case the phone is stolen or lost. The robber won’t just be able to wipe away all memory and factory reset your mobile phone. FRP, which stands for Factory Reset Protection was introduced for the first time in Lollipop version of Android phones and has become a staple in all phones now. Samsung was one of the first mobile phone companies to introduce the feature. While the feature is ideally a helpful one in case of your phone getting stolen, it is a pain when you are trying to sell the phone or passing it down to your wife, children, or parents. You obviously don’t want anyone else to see what you store on the phone as it is a breach of privacy. 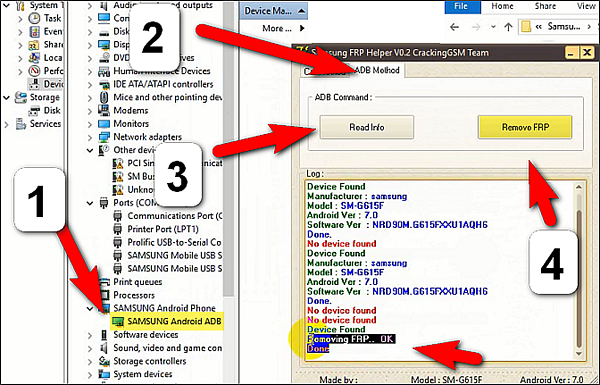 Thus, you may wonder how to bypass FRP lock from Samsung. When you buy a new phone, which has Android Lollipop 5.1 and higher, you sign-in using your Google account. The moment you do that, factory reset protection option gets activated automatically. If you ever want to factory reset your Android mobile phone, you’ll have to mention the same Google ID and password you used to login for the first time. 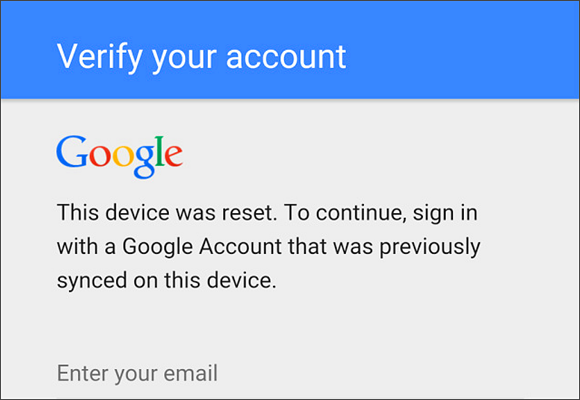 After you reset factory settings, you will be required to log-in again with a Google account. In a world full of things that come at a cost, it is a surprise that you such an amazing tool for absolutely free, no hidden costs. The download and install process is simple, so you won’t have to go the market and spends thousands of dollars to remove FRP lock from Samsung. It’s easy and you don’t have to spend more than a few minutes to do it. The FRP bypass tool doesn’t need you to have any technical knowledge. Several legible links are available from where you can download Samsung FRP Helper 0.2. The installation process is the same as any other software you download on your Android mobile phone. Our guide will help through the detailed process, so that you won’t have trouble in navigating your way around. It doesn’t matter if you are using Samsung Galaxy J2, J7, or SS, Samsung FRP Helper 2.0 will work on all phones. It will help on all mobile phones that are Android version 7.0, which means it works on most of all Samsung Galaxy phones. If your phone has Oreo 8.0 firmware, then you’ll have to downgrade to version 7 to make it work. The new software is yet to come for phones with higher Android versions. As a mobile user, you should know that using the software on a regular basis on your mobile of the professional computer can lead to virus threats. Only use it when you have no other option remaining. Step 1. Open your computer and make sure it is connected to a secure internet connection. This method works for all Samsung Galaxy phones that have Nougat or Marshmallow phones. Step 2. Open your phone and connect it to be a secure and strong internet connection. Step 3. 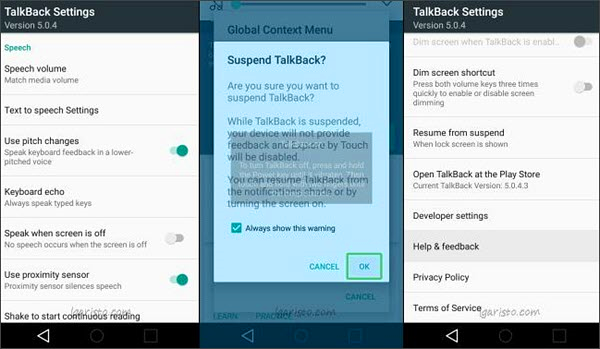 Enable the TalkBack feature on your mobile phone. Step 4. Press Home button three times back to back without stopping. Step 5. Go back to Home and draw the letter L on the mobile screen. Several options will appear on the screen, select TalkBack Setting. Step 6. Hold the volume up and down buttons at the same time to disable the feature. Step 7. In the TalkBack settings, scroll down and click on Help & Feedback. Step 8. When you are in the section, type Voice in the search bar and click on get started with voice access. Step 9. A YouTube video will start playing. Click on play and then search option. Step 10. Go to Google and search FRP bypass tool apk. To remove the FRP lock from Samsung, select the very first link that appears in the search. When you go to Bookmark > History > Download History, you’ll find the Samsung frp bypass apk there. Step 11. Once you install the apk file, find Bypass Go To Setting 01 in the app. Step 12. Go back to the app and search Google. Go to Storage > Clear Catch > Manage Storage > Clear all data. Exit the feature and go to the app’s home screen. Step 15. Enter (+30012012732+. DRParser will open. Step 16. *#0808#. This will open USB settings on the mobile phone. 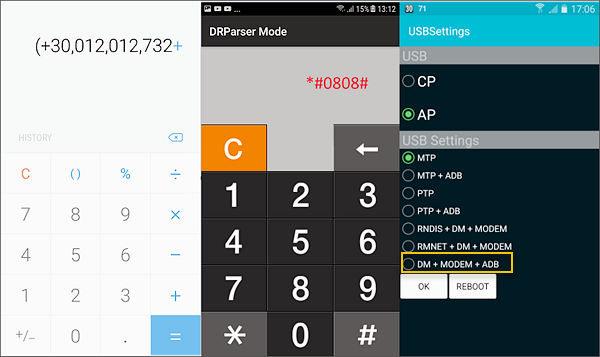 Choose DM+ACM+ADB and hit OK.
reboots the mobile phone automatically. This is where you are going to need to use the computer, so check for a strong internet connection. Step 1. Download Samsung FRP Helper version 0.2 tool. Install and launch the software. Step 2. Connect your Samsung Galaxy mobile phone to your computer use a USB Cable. Step 3. Your computer should automatically detect if the ADB mode which you just activated on your phone is enabled, it will come to know. Step 4. Open the software and click on ADB Method. Step 5. There will be several options. Select the Remove FRP option and the lock will be unlocked. The process definitely looks complicated because there’s a lot to do but typically it doesn’t include any coding. If you follow the steps precisely, you should get the desired results at the end. Tips: Lost data after factory reset your phone? Try this free Android data recovery software to recover deleted data from your Samsung Phone quickly. The entire process should take you a total of 60 minutes. This is the very same process a mobile technician would use. If you would’ve gone through the steps already, you’d know that it is a relatively simple process. When you can do it, why give someone money to do that. However, there are a few things you keep in mind before starting the process. Always have a secure internet connection, so that you don’t have to stop in between. The faster you get done, the lesser are the chances of your phone or computer getting virus. You get it done by a technician or yourself, there are high chances of a virus infection. This also means that you should get the whole process done at the same time. While doing the process, you won’t be able to use the phone, so get all work done beforehand. Once you unlock the FRP feature, you will be able to lock it again. But doing it frequently will put both your devices at risk. Other than that, you don’t have to worry about anything. Stay tension free and follow all steps properly.